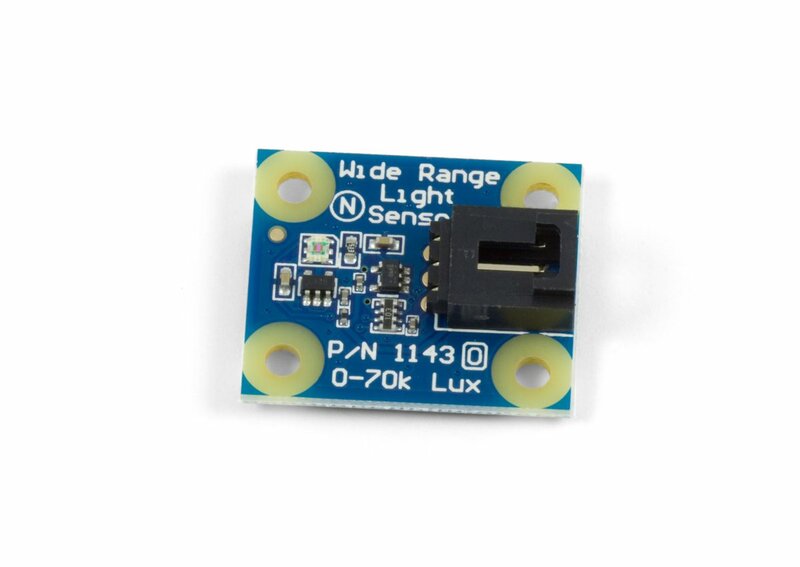 The 1143 Light sensor can measure ambient light up to 70 kilolux (roughly equivalent to the brightness of direct sunlight). 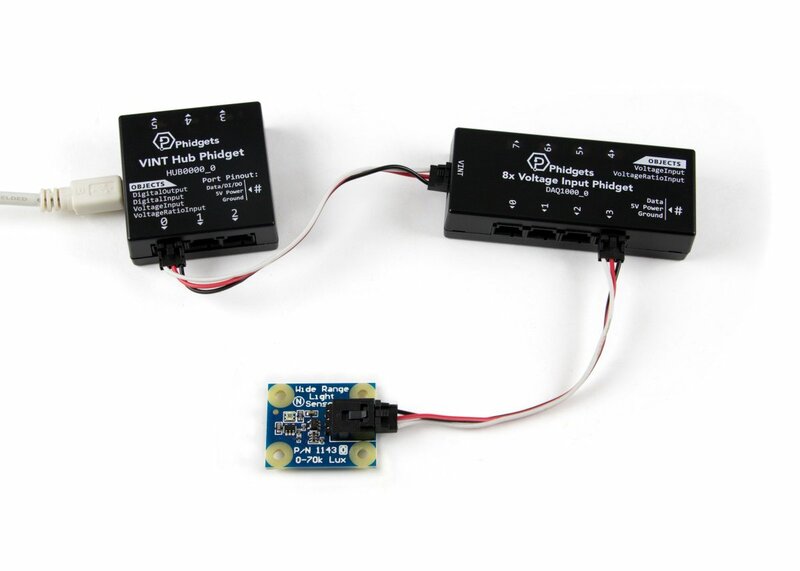 Each sensor has been individually calibrated, and a label has been applied to the back of the board with a calibration value which can be used in your calculations to increase measurement accuracy. The sensor's output is logarithmic, so it will be more accurate at low light levels. 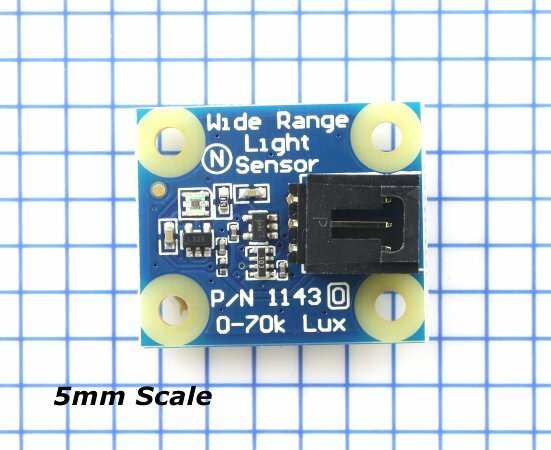 Some light sensors report drastically different values depending on the type of light being detected. 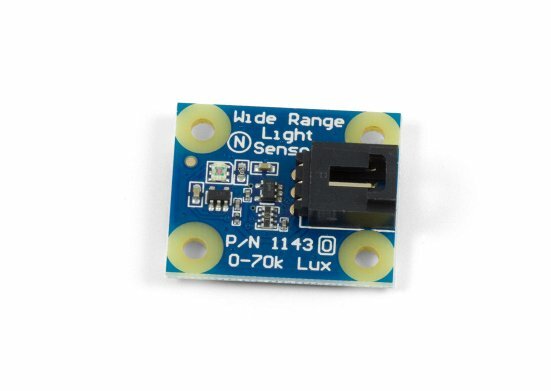 The 1143 light sensor, however, only differs by a factor of 1.2 when measuring fluorescent light versus incandescent. If you want greater resolution with a smaller measurement range, take a look at the 1142 – Light Sensor 1000 lux. 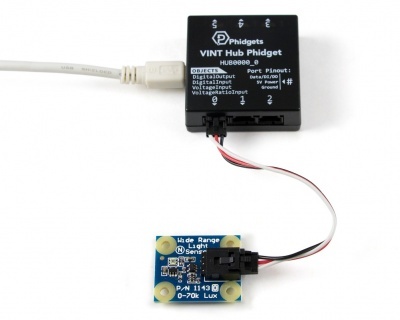 Connect the 1143 to the HUB0000 with the Phidget cable. Now that you have everything together, let's start using the 1143! 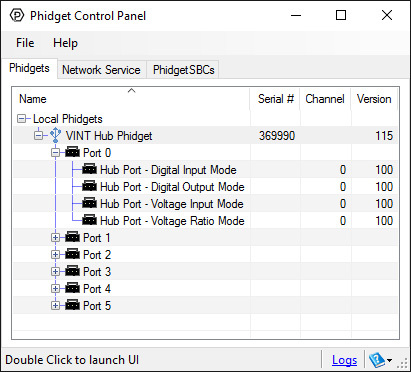 In order to demonstrate the functionality of the 1143, we will connect it to the HUB0000, and then run an example using the Phidget Control Panel on a Windows machine. Linux users can follow the getting started with Linux guide and continue reading here for more information about the 1143. Select the 1143 from the Sensor Type drop-down menu. The example will now convert the voltage into illuminance (lux) automatically. 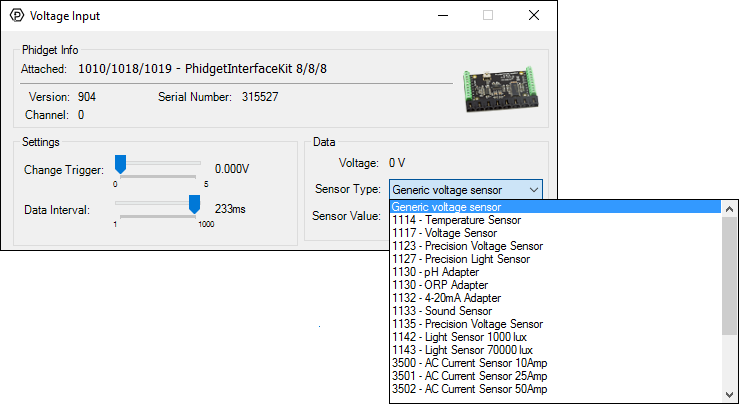 Converting the voltage to illuminance (lux) is not specific to this example, it is handled by the Phidget libraries, with functions you have access to when you begin developing! The 1143 has a logarithmic output, which means it will be more accurate at lower light levels. 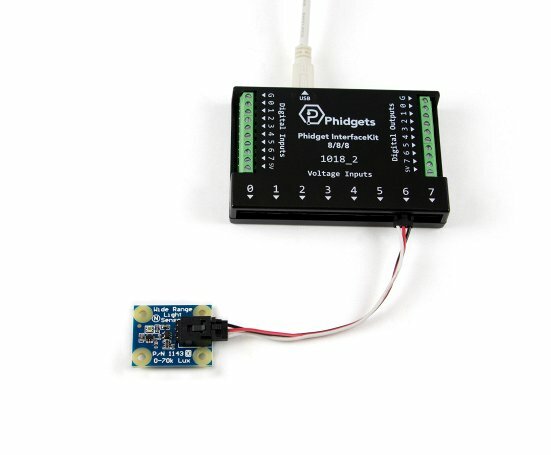 The 1143 uses the APDS-9007 light sensor package. 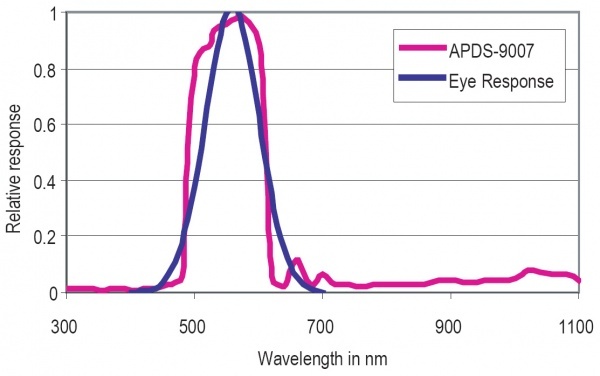 The following graph illustrates the sensor's sensitivity to specific wavelengths of light. Where 'm' and 'b' are calibration values found on the label on the underside of the 1143. If for some reason you can't use the calibration values that come with the sensor, you can use the generalized values of m = 0.02385 and b = -0.56905 to get a rough approximation. 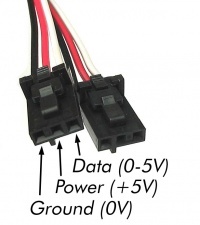 Note that because this sensor is non-ratiometric and logarithmic, the output voltage of the sensor will not exceed ≈ 2.5V (Which, using the above formula, should correspond to 70,000 lx). 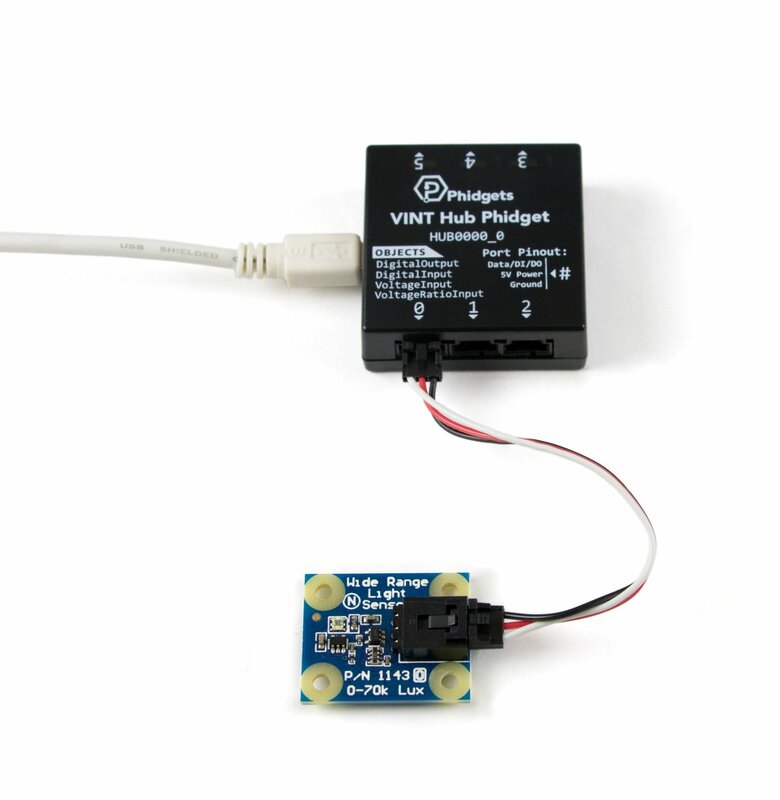 You can find details for the VoltageInput API on the API tab for the Phidget that this sensor connects to.